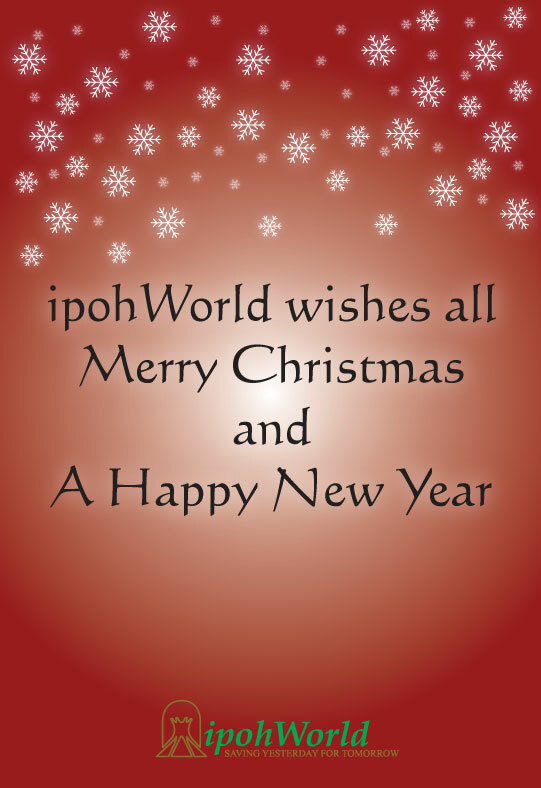 On behalf of ipohWorld, we wish you all Merry Christmas and A Happy New Year. Have a great weekend ahead! P/S: Stay tuned for our 2011 Calendar wallpaper which will be released mid next week. and all those people who had contributed to this wonderful site. Season’s Greetings to the Ipohworld fraternity and may goodwill and compassion burn ever so brightly like an eternal flame in our heart. Kudos to Ian and his team of unsung heroes/heroines for maintaining this site. To someone who resides halfway across the world from Ipoh, this blog is godsend! Hi Sundra and Ken….Yuletide Greetings to you too! HAPPY NEW YEAR to all of you! May all of you be blessed with PEACE, JOY and HEALTH always! hi sundralingam – are u the one who lived opposite the ipoh hosp in greentown? brother of Mahadevan? Hello Ms.Devaki Rajan, I think you got the wrong person. I lived at No.65, Birch Gardens Off Connolly Road (Jalan Tun Perak).And my brother is S.Sivalingam.